According to the Associated Food and Petroleum Dealers, a traditional Thanksgiving dinner for 10 can cost as little as $36.70, or $3.67 per person. For some UC Berkeley students, celebrating Thanksgiving means paying a lot more--but buying food that is sustainable, organic, local, and ethical (SOLE). The Berkeley food revolution seems to be catching on in the commercial world as well. Like the SOLE students, a large group of consumers prefer to buy organic, believing that in doing so they are protecting the environment, helping poor farmers, combating global warming, and leading healthier lifestyles. Especially to high-income consumers, these benefits make it worth paying an extra dollar or two for lunch or dinner. The stellar growth of Whole Foods and Trader Joe's, two high-end supermarkets that sell eco-friendly produce, has forced grocery mammoths like Safeway to introduce their own lines of organic foods. 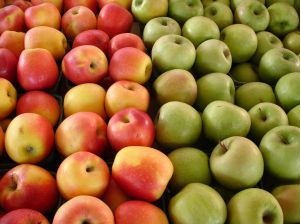 However, as The Economist reports, buying organic, fair-trade, and local foods might not accomplish the intended goals. At first glance, organic foods seem to be net beneficial to the consumer diet and the environment. After all, humans have been eating organic food for most of history, since before the industrialization of food. However, The Economist argues that the health benefits of organic foods as opposed to genetically modified foods are unsubstantiated; that the production of organic foods is massively inefficient; that paying "fair" prices to poor farmers effectively subsidizes their bad agricultural choices; and that exclusively buying locally grown food sacrifices the gains from trade. In general, the article argues, the benefits of eating organic are exaggerated, and the costs are understated. 1. What actions does the article recommend to consumers who want to reduce the effects of global warming? 2. Economists generally agree that "real" free trade is a tide that raises all boats. Explain how the United States and the European Union have promoted protectionism in their agricultural sectors. If the U.S. and the EU were to stop subsidizing their own farming industries, how would world agriculture change? 3. Suppose you wanted to compare the costs and benefits of organic versus conventional agriculture. How would you go about doing that? On the local news radio station in San Jose, they have a segment called "Phil Cosentino, the produce guy," or something like that. He's the owner of Cosentino's markets and he talks about what produce is in season, how to pick it and how to cook it. He addressed the issue of organic fruits and vegetables once...he had a very good argument full of facts about productivity and that humans have actually been genetically modifying their food for ages anyway by doing things like grafting and stuff... I don't know a lot about produce, but it does make sense that higher yields on less land, using less resources, feeding more people, cheaply...all these things seem like positives. Plus...it's not really clear that organic foods are as 'natural' as people think they are.